Two Hampton Inn employees had some heated words on Sunday — and then one of them pulled out a knife. 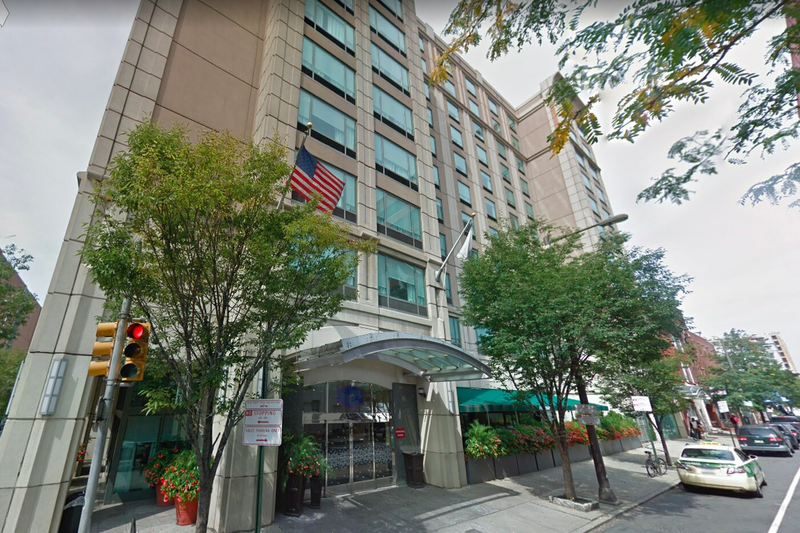 Police said a 35-year-old employee at the hotel, which is at 13th and Race Streets in Center City, was stabbed in the back multiple times by a colleague after the two argued in a basement break room just before 5:30 p.m. The victim, whose name was not released, was admitted to Hahnemann University Hospital in stable condition. The attacker was arrested, but his name also wasn't released. Police said the knife wasn't recovered by investigators. The stabbing occurred, coincidentally, just three days after an an argument between two coworkers that turned deadly in a break room at Philadelphia International Airport. In that episode, police said Kevin Emanuel, 35, stabbed Aaron Jenkins, 28, in the thigh after they argued about the break room lights in Terminal E.
Emanuel's keys cut into Jenkins' femoral artery. Jenkins, of Olney, died at Penn Presbyterian Medical Center. Emanuel, of Overbrook, was later charged with murder and possession of an instrument of crime. Both men worked for Worldwide Flight Services, and cleaned planes for Frontier Airlines.